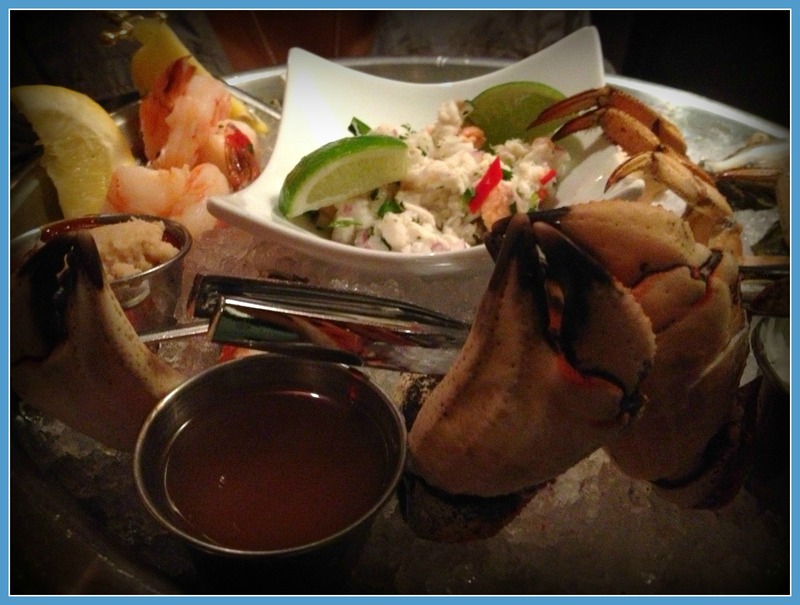 We first started off with the seafood medley appetizer which included a nice variety of seafood: crab legs and claws, raw oysters, shrimp, and ceviche. The accompaniments were: tartar sauce, cocktail sauce and a light vinegar dressing. My favorites were the raw oysters ( so flavorful) and the ceviche. The ceviche was made with whitefish and salmon and had a nice, tart lime flavor. By the way, this meal was entirely complimentary from the restaurant as a thank you to the nurses for their help during the recent Boston tragedy. This included any appetizer, entree, dessert and beverage of our choice! I extend a very big thank you to Harvest restaurant for their generosity! They win extra points in my book! Now, onto the main course! 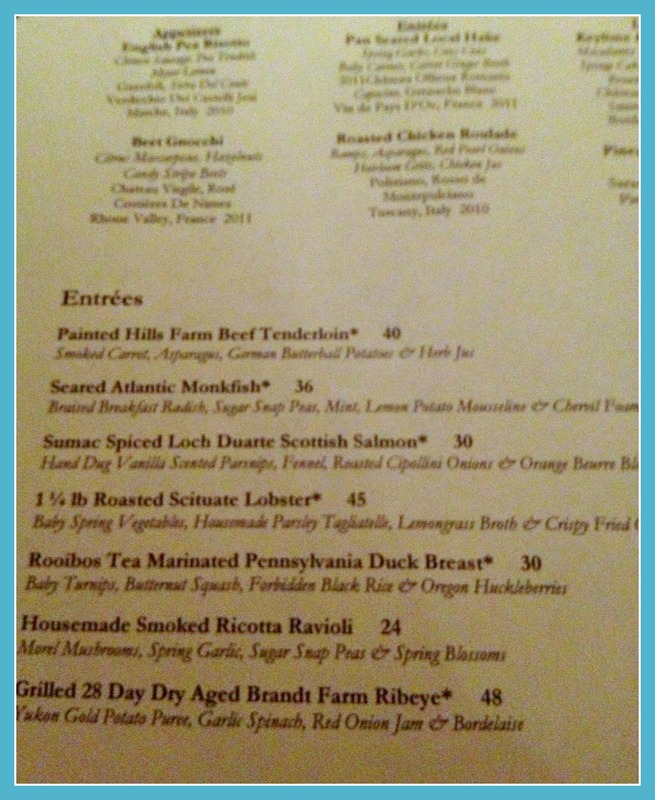 Below you will see some of the entree options below. As you can see, this is definitely more of a “special occasion” type of restaurant. 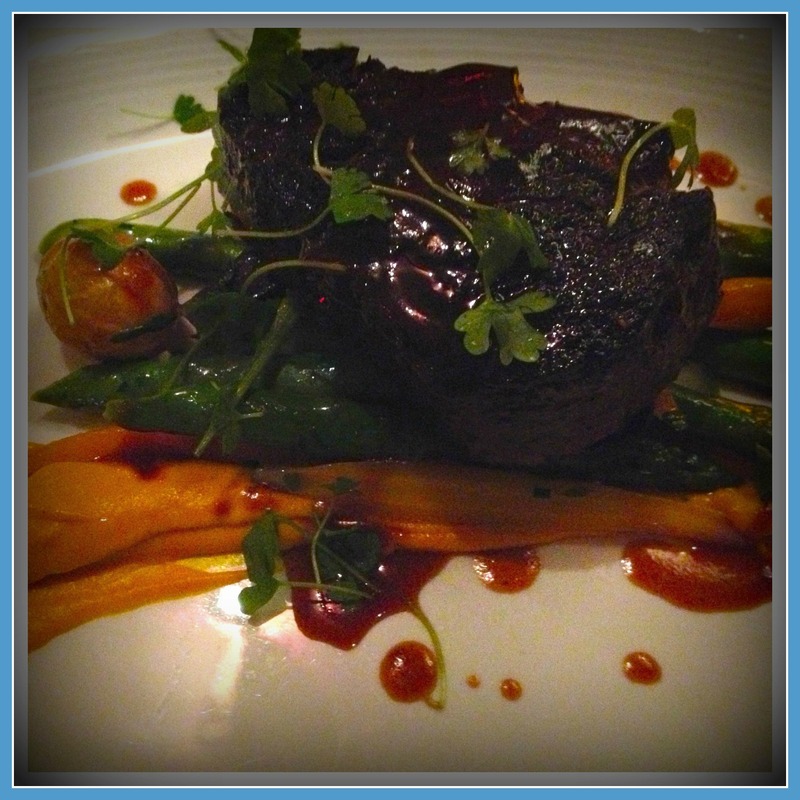 Keyanna and I both ordered the Painted Hills Farm Beef Tenderloin. Within the past six months I have tried to cut beef out of my diet, however, seeing as this was an opportunity to eat something very special I decided to splurge! Wow, was it worth it! This was absolutely delicious! This came with smoked carrots, asparagus and an herb au jus. The meat was so tender you practically didn’t need to chew it! The meat was of excellent quality! The herb jus was very flavorful with hint of tomato flavor thrown in there. Now come the desserts! 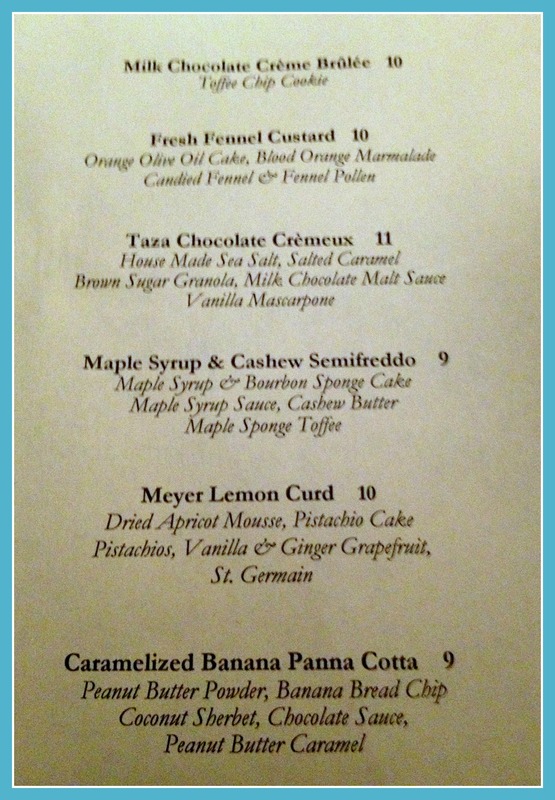 Here is the dessert menu. 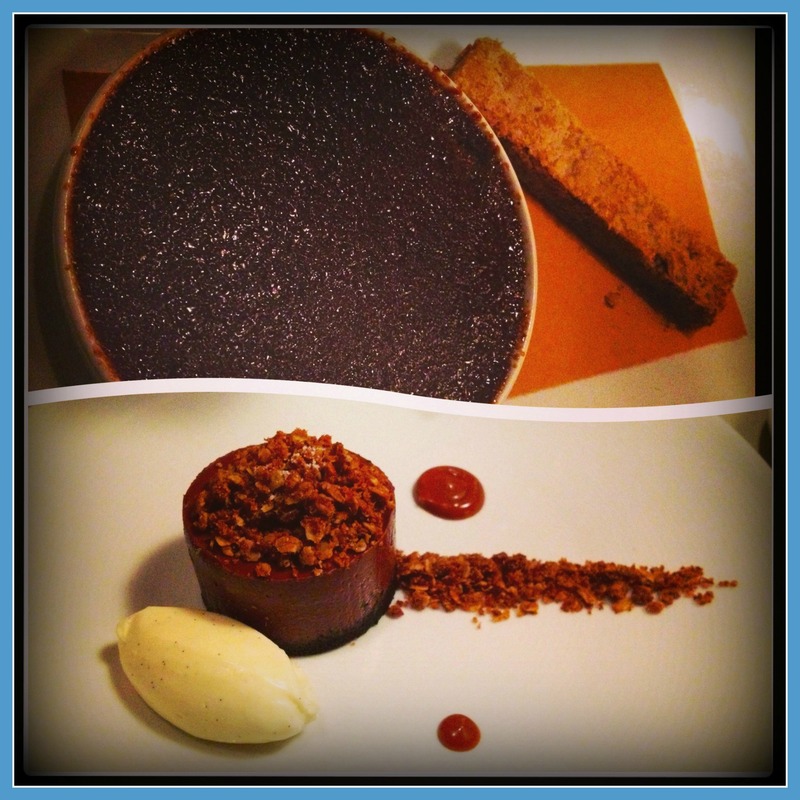 We decided upon the Milk Chocolate Creme Brulee and the Taza Chocolate Cremeux. Both of these desserts were excellent! My favorite was the chocolate creme brûlée. Wow! This blew me away! Absolutely delicious! The custard was perfectly creamy with a nice chocolate flavor. Of course, the caramelized sugar crust is always a nice contrast to the smooth creme brûlée. The cookie…oh my goodness…the cookie was incredible! Imagine this cookie as being pimped out shortbread! This cookie was vanilla butter cookie, but wonderfully soft and chewy. Toffee bits were also scattered throughout the cookie. The texture was perfect and the flavor was spot on! The cookie paired with the creme brulee made for a magic combination! Next was the chocolate cremeux. This dessert consisted of a complex mixture of flavors and textures. The cremeux itself reminded me of chocolate cheesecake. However, the interior was filled with a surprise salted caramel! The combination of the bittersweet chocolate with the salted caramel worked well together. To really experience this dessert, one needs to put all of the components together: the vanilla mascarpone cream, the chocolate granola, the salted caramel and the chocolate cremeux. The contrast of textures and flavors made this creative dessert sing! I definitely recommend this restaurant if you want to go somewhere really special to celebrate!